At Viera East Veterinary Center, our highly experienced team of veterinarians and veterinary support staff have been helping educate our clients and win the fight against heartworms in cats since 1996. The importance of heartworm prevention for cats cannot be overstated. Once a cat has contracted heartworms, it cannot be cured. Therefore, preventive measures are absolutely necessary in order to keep your beloved feline friend healthy and safe. What Is Dirofilariasis, AKA: Cat Heartworm Disease? Dirofilaria immitis is a blood-borne parasitic nematode (roundworm), commonly referred to as heartworm. Heartworms in cats are spread through mosquitos carrying heartworm larvae. The severity of heartworms in cats is directly dependent upon the number of worms present a cat's body, the duration of the incubation, and the response of the infected cat. Although heartworms in felines are less prevalent than in canines, feline heartworms are still a dangerous disease that has been on the rise in America. The risk of heartworm is dependent on mosquito exposure. Indoor cats do get bitten by mosquitos that come into the house. One mosquito bite can inject many heartworm larvae. 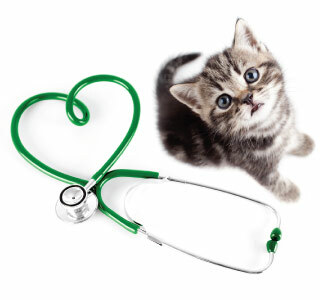 If you do not use preventive medication, the risk of contracting cat heartworm disease exponentially increases. This is why preventive cat heartworm medication is so important. When an infected mosquito bites a cat, it injects the heartworm larvae into the cat. The larvae then migrate and mature over a period of several months, eventually ending up in the right side of the heart and the pulmonary arteries. Once this occurs, they can mature into adult heartworms, and can reproduce about six months from the time of invasion. Approximately eight months after the invasion, cat heartworm begins to produce a new crop of microfilariae that will live in the cat's blood for about one month. By the time this occurs, most cats begin showing symptoms of cat heartworm and the disease can become fatal very rapidly.